Join your community and local children for a Christmas Party with Santa! December 16, 2017 from 1 to 4 p.m., children will get gifts from Santa and food will be provided. Children aged 0-12 are welcome. 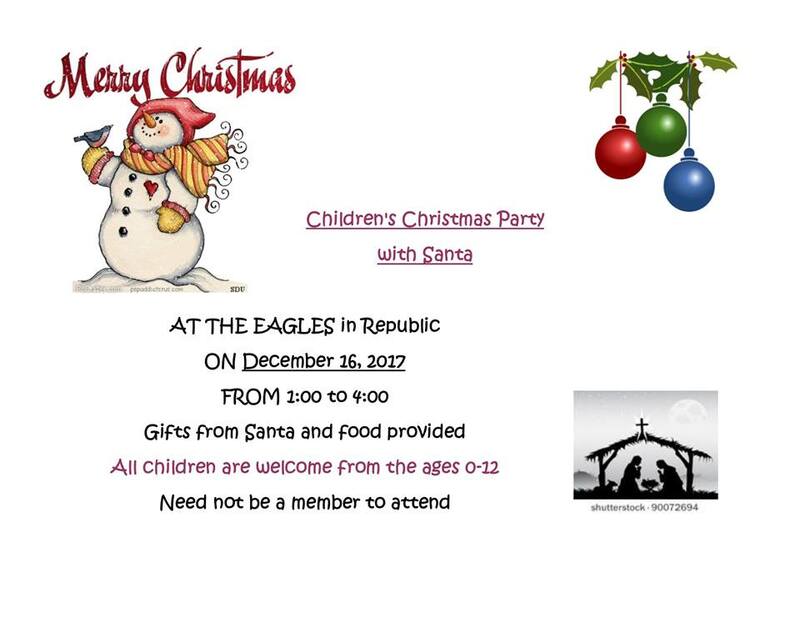 Party will be held at the Eagles – need not be a member to attend.